This year me and Els (from 2b Else) sat together to brainstorm about a workshop we wanted to give in her beautiful vintage studio in Eindhoven. 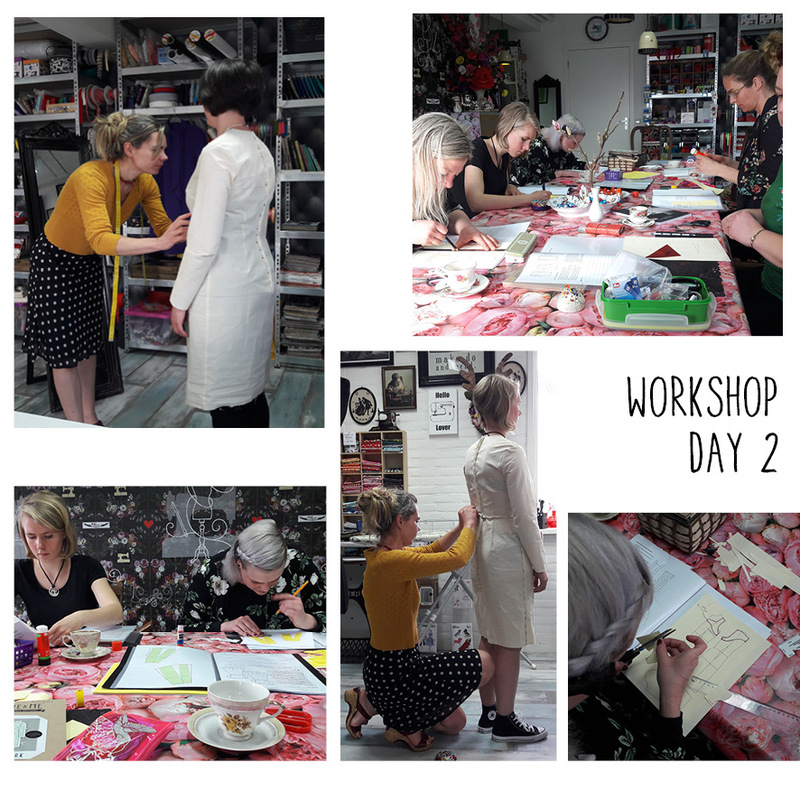 Last year I gave a workshop, on how to make a Brooke dress to fit your personal body measurements and shape. But this time I wanted something different. Something I would love to learn if I were you! First of all learning how to make a perfectly fitted basic dress for my body. And to top it off, learn how to make different designs from that dress. Fitting into a two day workshop! 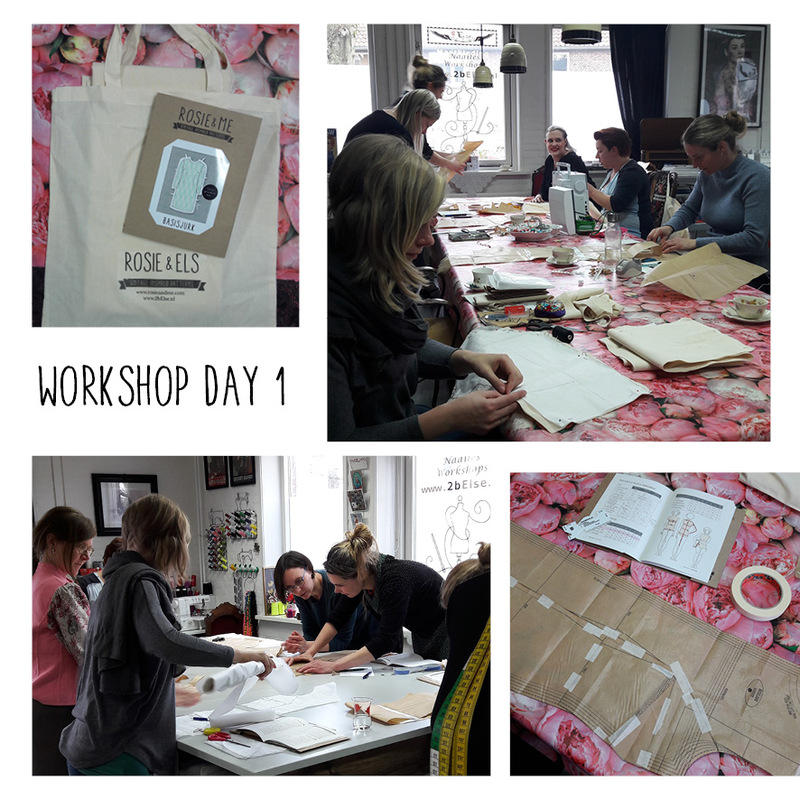 Not so much sewing, but lots of pattern and fit training….which is really what love to do the most! I shared this idea with Els and she was just as excited as I was! We planned a date, Els announced our workshop plans and in no time the class was full….even having to put several people on a waiting list. How exciting to hear everyone’s enthusiasm! In the meantime I worked on the basic dress – pattern and booklet. I wanted the booklet to be a guide for whenever people wish to make other pattern adjustments, something they can hold onto as a personal fit-reference. For the second day I prepared a design-workbook with mini basic patterns that included basic design learnings like dart rotation, facing, sleeves, collars, skirt volume and drape. 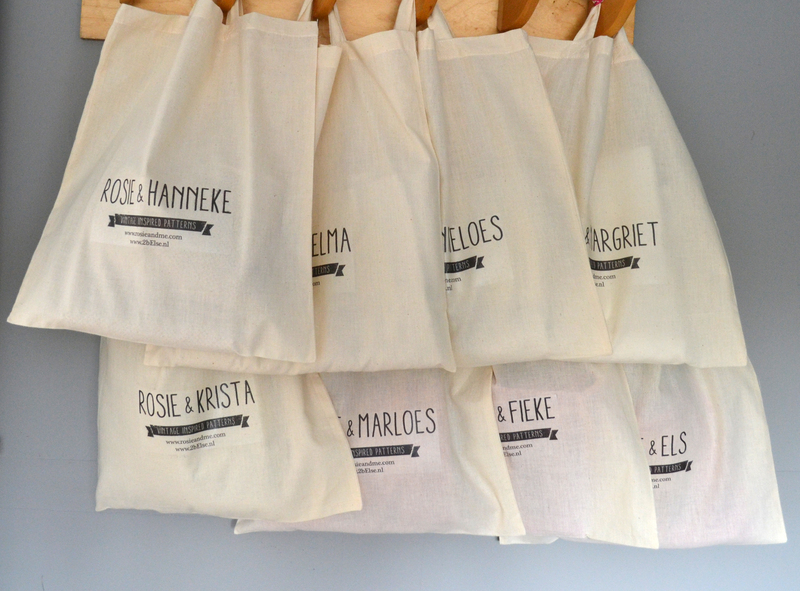 And at last I printed personalized bags for the fabric (unbleached cotton) and the booklet. All was ready to go…and then….I got the flu! Noooooo…..The entire winter I was thrilled that I seem to be about the only one withstanding this terrible flu …but at last it hit me as well…awful timing….and actually felt miserable having to cancel (well postpone) the first workshop day. All the students were wonderful and understanding which was so heart-warming. The two days were a lot of fun! We all worked hard, everyone was really concentrated, eager to learn and very excited. While the first day was all about measuring, cutting and altering the patterns. The second day was about fitting the basic dress (which everyone made as homework) and making mini designs. The atmosphere, the beautiful location with tea, mjummie treats by Els (and also by one of the students!) some nice background music and to top it off a glass of wine to end the day with. 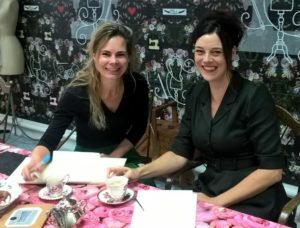 It gave me and Els so much energy that we plan to give the same course again later this year, around the Fall. If you are interested and/or ended up on the waiting list last time, please let us know! You will then be the first ones to hear of the dates when they are planned.